In 2013 I won the Canadian National Championships for the second consecutive year. In 2012 this qualified me for the London Olympic Games. In London I proceeded to run a personal best in the first round defeating past Olympic Champion Yuriy Borzakovskiy and advancing to the Semi-Finals. My first Olympics saw me finish 17th overall, an improvement of 20 places ahead of my ranking going into the Games. 2012 was my most successful year to date with ten of my all-time best performances, and my first National Championship Gold Medal. My rise to the elite international level over the last six years has resulted in me competing for Canada on eight National Teams, and making the step into International Competitions worldwide. I started running as most kids do with his school team in Junior High, my older sister Jocelyn the coach of the team. I ran through to the end of high school, played football and curled as well. By the end of grade twelve I had 20 provincial school medals, 14 Gold! Running was becoming the dominant sport in my life during grade 12 in 2005 I committed to Dalhousie and started training with the varsity program. My 2006 Varsity season saw me win the National Title indoors and started an unbeaten streak in the 600m that still is alive. In 7 years and 20+ races I am unbeaten indoors over 600m. I began his ascendency to the top middle distance ranks in 2006, when I was ranked as the fastest junior in North America. However, my career has not been without challenges; after an injury plagued 2010 and 2011 season, I bounced back in 2012 to achieve two of my life time goals: 1) becoming a National Champion, and 2) representing Canada at the Olympic Games. In 2013 I won my second consecutive National title over 800m qualifying me for his second Francophone Games Team. The future holds a wealth of opportunity for me as I continue my journey as one of the top 800m runners in Canadian history. My success at the 2012 London Olympic Games will help propel me towards qualifying and attending some of the largest international meets over the next three years, all in preparation for the 2016 Olympic Games in Rio! I will send you a personally addressed autographed picture of me running for Team Canada at the London 2012 Olympics. Want to talk about running? Maybe chat about the Olympics? I will stop at nothing to get a hold of you by phone for short or long talk about all things running, training and competing. Want some team Canada Gear? I will send you a piece of authentic Team Canada Gear! Trying to get back into shape? I will work with you through email correspondents to set you up with a training and diet plan to help you reach your goals of fitness for 3 months plus semi-monthly Skype meetings! Personalized sneakers from Nike and Nike Polarized running glasses! You Help me so I'll Help You! 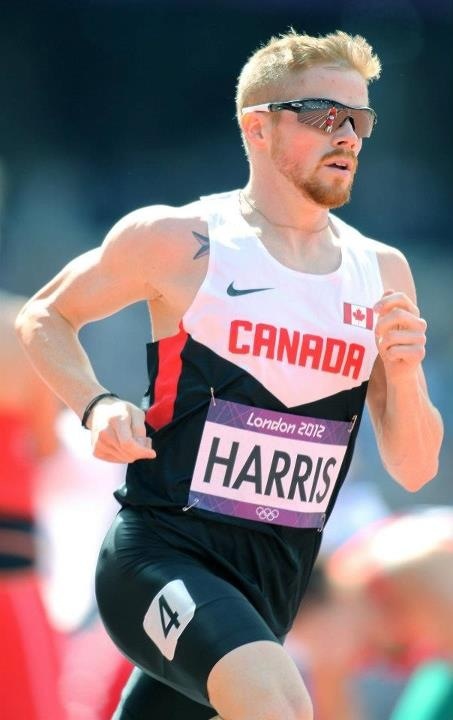 Want to associated your company or brand with Canadian Olympian? I will wear your logo on my entire warm up and travel gear as well as the back of my competition gear for the entire 2014 season as I race to qualify for the Commonwealth Games! Like Denim? What about the sweet Canadian Olympic Denim Coat that we got for the London closing ceremonies? I will personally deliver you my Olympic coat to you anywhere in Canada! Want your company’s logo all over Canada and the world. I will wear your logo for the entire 2014 and 2015 season as I prepare to qualify for the Commonwealth Games and World Championships leading toward RIO2016! You will have exclusive space on the front of my competition gear! As well as come and speak at an event put on by your company at a date that works with both our schedules. All payments are SSL secured.